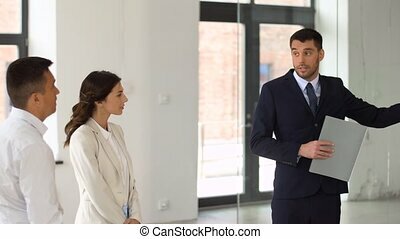 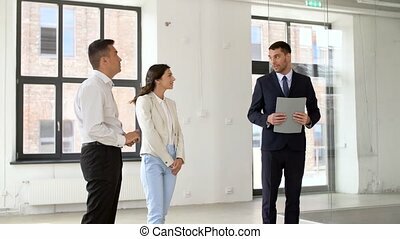 Architect or realtor showing office to customers. 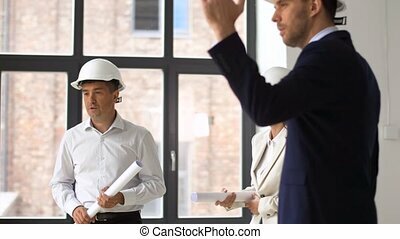 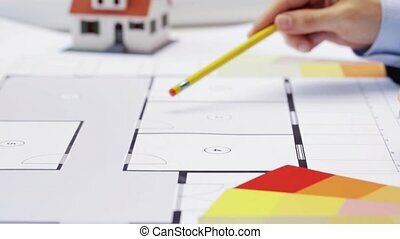 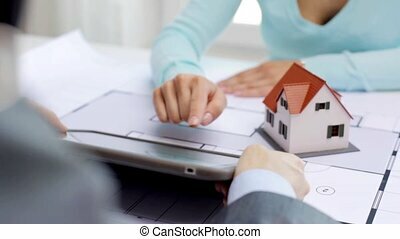 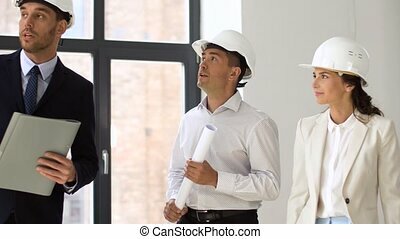 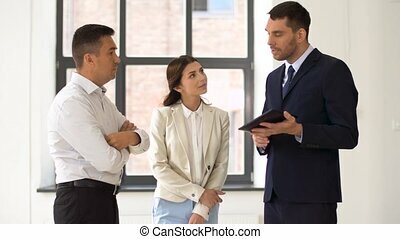 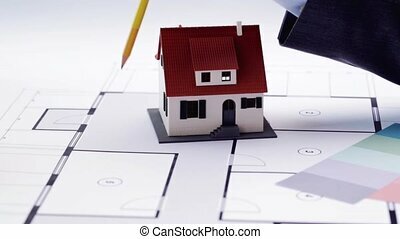 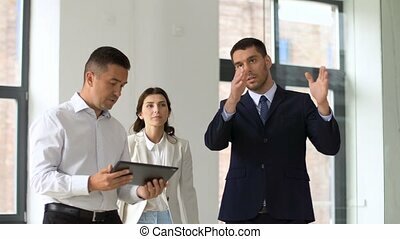 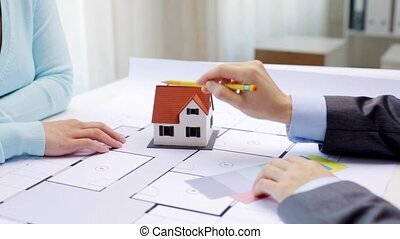 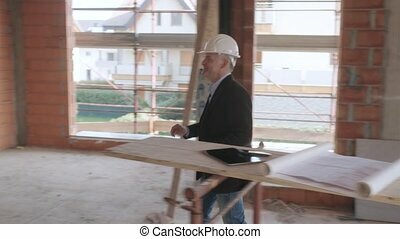 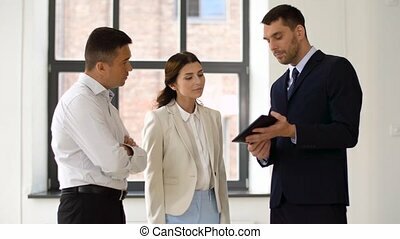 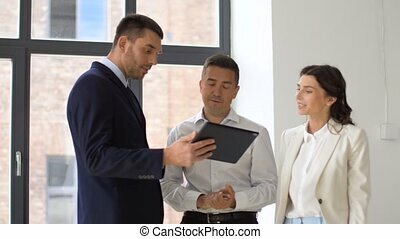 Architecture, construction business and people concept - architect or realtor showing new office room to customers with blueprint and helmets. 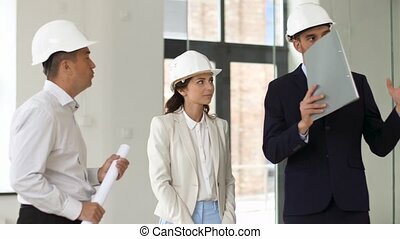 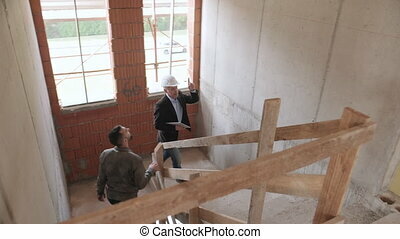 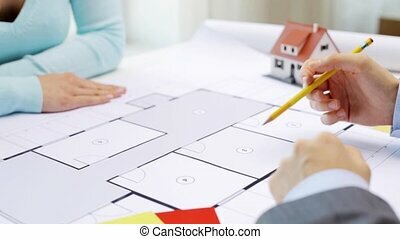 Young male architect is showing the project to his boss in modern conference room. 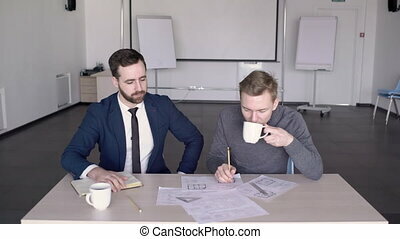 Professionals are sitting at the wooden table in the office and engineer is presenting the paper blueprints to the man in suit, who is ready to take notes. 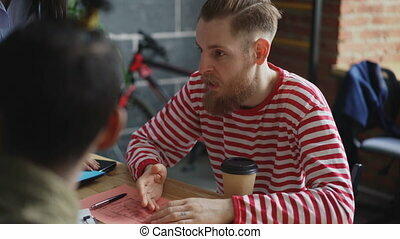 Coffee cups, notebook, schemes and tools are on the desk. 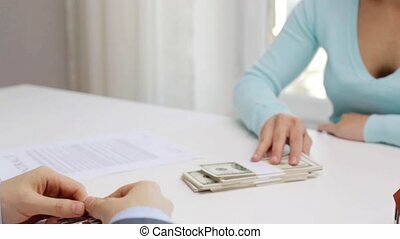 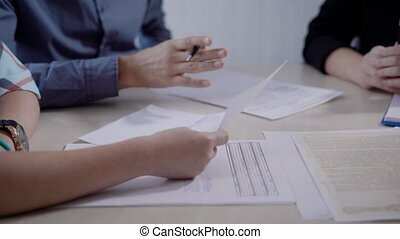 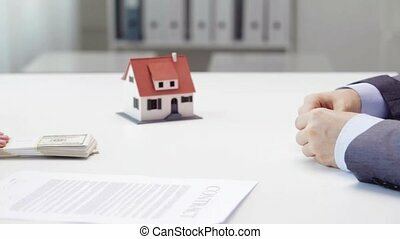 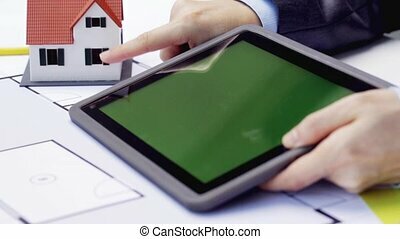 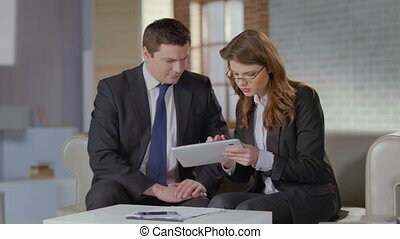 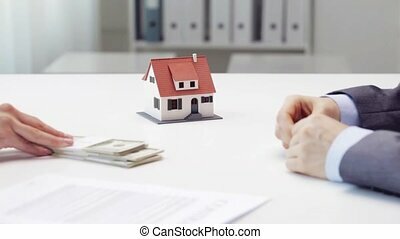 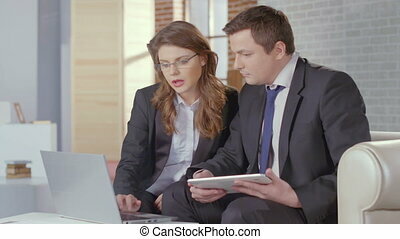 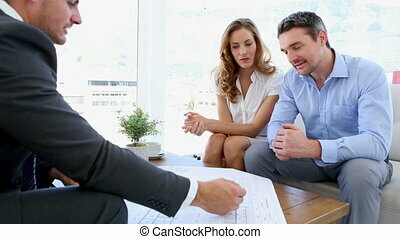 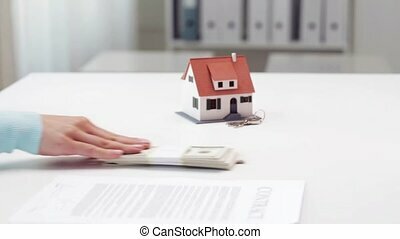 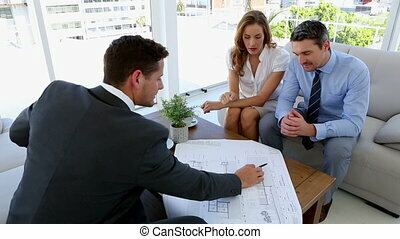 Close up shot of estate agent showing contract for buying house to the married couple in the office. 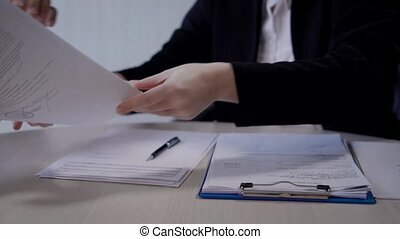 Studying terms of the contract.